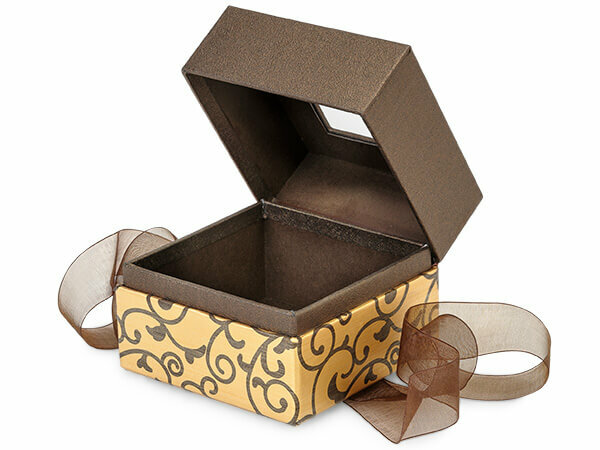 Petite size Elegant Chocolate Scroll Gift and Gourmet Presentation Boxes sold by the carton. Each ribbon tie is 7/8" wide and around 17" in length. This is a Nashville Wraps exclusive design! Inside dimensions are: 3-3/8" L x 3-3/8" W x 2-3/4" H.